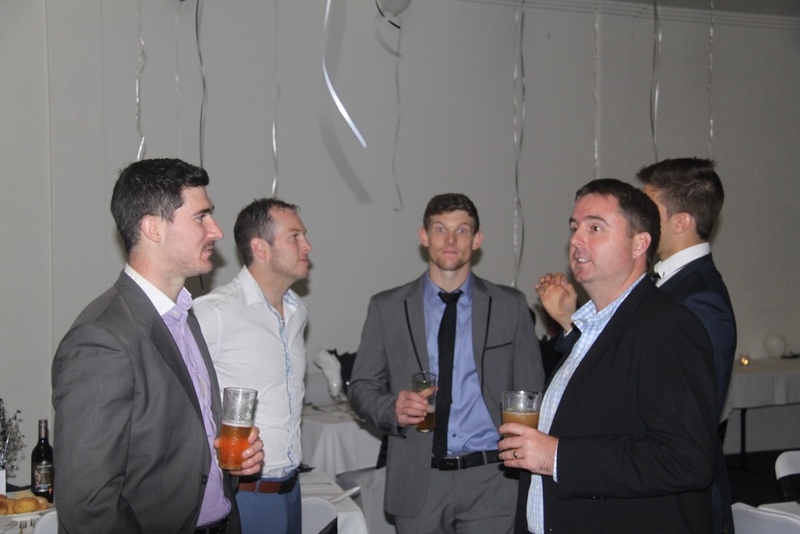 The Sherwood Football Club (incorporating the Western Magpies) have celebrated the clubs 60th Anniversary in style at a Gala Dinner on Saturday 18 June at the Nest. Well attended by over 150 people, including current sponsors, current and former players/coaches/parents and AFLQ staff - it was a wonderful night of reflection on an amazing 60 years as a local footy club. President Kevin Kluver was in his element behind the mic, reminiscing on the past and looking to the future and also one of the great highlights of the evening was the awarding of Life Membership to club legend, 9 time Premiership player and 2 time Premiership coach - Warren Selvage. Some fantastic speeches from past player Scott Spencer and current player Richard Wenham had everyone enthralled with tails of the past, and inspired by what might come in the future. Spencer earnestly discussed the early years of the club, paying particular tribute to club legend Maurie McNamee and his efforts in establishing the club and ensuring its growth. Spencer also reminisced about the strength of the club through the 60's and culminating in the Golden Era of the 70's and 80's. Meanwhile, Wenham in an insightful and often humourous speech recognised the deeds of those that built the club and quoted Kev Kluver's observation that the current players 'are drinking the water from the well dug by those that came before'. He suggested that those from the past had left a wonderful legacy that the current players and officials are going to build on and 'dig that well a little deeper'. He was proud of the current playing group embracing the culture and proud history of the club and the 3 recent senior premierships and elevation to the top tier of Queensland Footy. The club's two Grogan Medalists, Bill Peirce and current Co-Captain Callum Carseldinem also discussed the clubs achievements and Billy complimented Carseldine on his great 2015 season and welcomed him to a very exclusive club. Billy also reminisced on the aura of the club from his era, particularly as a junior player when he would hear kids at the local shop whisper to their parents 'he plays for Sherwood' in an awestruck manner! The event couldn't have run as well as it did without the excellent work of Life Member Dr. Greg Thompson as the MC. Doc welcomed all the other life members present at the event, namely Rob Vowles, Barry Johnstone, Kevin Kluver, Phil Kelemen, Des Lashman, David Bartlett, Matt Vowles, Chris and Jenny Fozard, Chris Arnold, Gabe McKinnon, Michael McEvoy, Billy Peirce, Tim McEvoy, Chris Mihalopoulos and Rocco Stewart..
Also present at the event were Peter May and wife Ashley from major sponsor, Place Graceville who are fantastic supporters of the club, Laura Benn from 24 Fit, Chris & Jenny from Cooper Fozard Insurance and all the guests enjoyed some of the sponsors product with the sponsors themselves - Heath Grosvenor and David Hunter from Coopers Brewery also in attendance. MC Dr. Greg Thompson also suggested it was time to consider a Hall of Fame to honour the clubs on and off field heroes in a permanent way, and commence a project to get some Honour Boards in place at the club - recognising Premierships, Best & Fairests, the highly regarded BG award and other important milestones at the club. Certainly an idea everyone in the room was in support of. The meals were fantastic, the room looked spectacular and the company kept couldn't be matched on such a great evening as the club celebrated 60 wonderful years.